Horizontal board fences are uncommon and stunningly beautiful. They look more like walls than fences, making them perfect for extending a home with garden “rooms.” Horizontal lines make a space appear wider, so these fences are well suited to smaller gardens and modern homes. 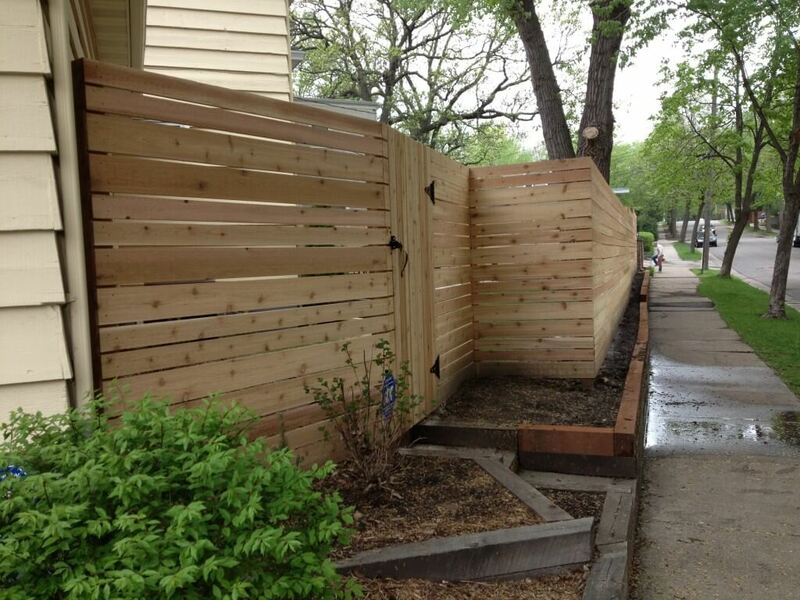 Enhance the beauty of your property with cedar fencing expertly designed and installed by Dakota Unlimited. 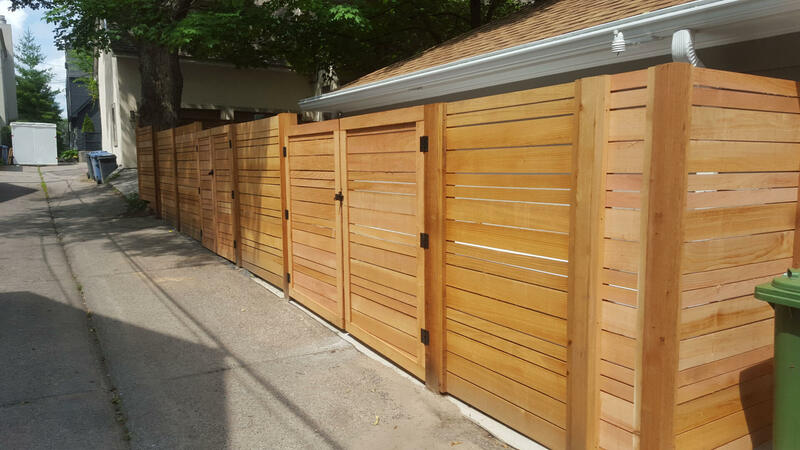 We’re known for custom wood fences that become an integral part of every landscape design. After carefully listening to your needs, we’ll install a fence that is a perfect fit for your location. 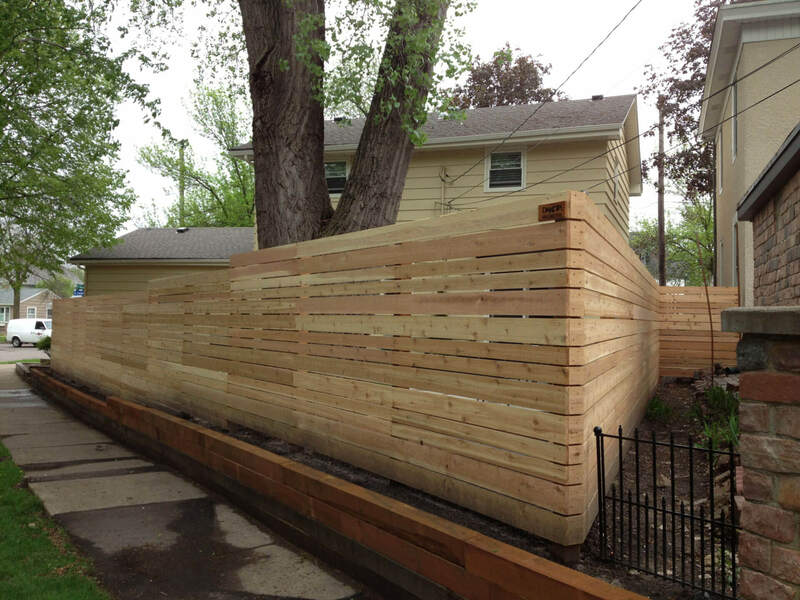 All wood fences are built on site, never using pre-fabricated materials. 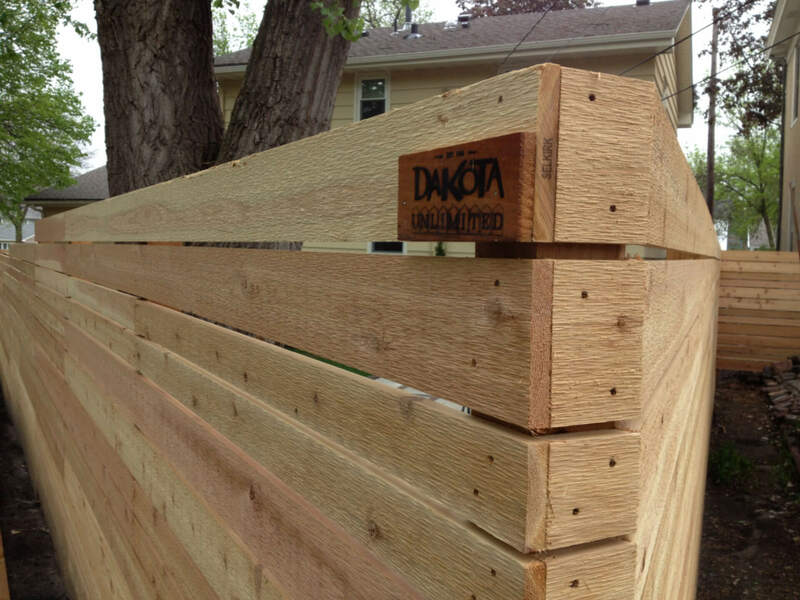 The complicated structure of horizontal board fences requires the specialized expertise, superior craftsmanship and significant installation experience of Dakota Unlimited. Our installers are insured employees, not sub-contractors, and we warranty our workmanship, including gate adjustments, for 5 years. Dakota Unlimited is a family owned and run business; our owners inspect every project to make sure the work is up to their high standards. All of the wood fence boards are fastened to the rails with ring shanked stainless steel nails, ensuring there are no rust stains or streaks. WE’RE THE ONLY FENCING COMPANY THAT TAKES CARE OF IT ALL. Our fencing consultants carefully listen to design the perfect fence to complement the unique needs of your home and lifestyle. 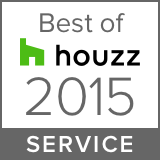 And, we have the highest ratings and referral rate in the business, including an A+ BBB rating, and Angie’s List Super Service Awards every year since 2006. Trust Dakota Unlimited to build a stunning addition your property. We have utility lines marked so there aren’t any mishaps. We meet our promised schedule, and we keep you informed of your project’s schedule so you know what to expect. We respect your property. We don’t use heavy equipment but work with shovels, wheelbarrows and hand augers, and we lay down plywood to cover your lawn or new sod/seeding, protecting it from ruts and trampled paths. We can install temporary fencing while your permanent fence is under construction. We are on call to handle repairs for the life of your fence.